Classically trained homeopaths are trained to identify the true foundation of illness, which can be traced to an individual's inherited and acquired weaknesss. These w eakneues can be thought of as predispositions to various illnesse and/or environmental factors. The ability to ascertain the unique remedy appropriate for a specific case requires years of study and practice. 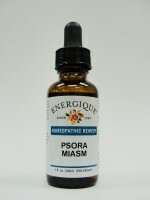 PSORA MIASM: Relief of itching, eruption of the scalp, and bends of joints with itching, skin that is dry, scly, general exhaustion. INFLAMMATION: Relief of arthritis, rheumatism. joint pain, allergies, irritation of eyes and general inflammation. 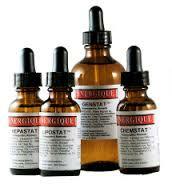 How To Handle Homeopathic Products. f. Strong odors (i.e. garlic, aromatherapies, etc.) - If these are used, the remedy should not be used for at least 1 hour after contact.